Versions of Windows 8 and beyond provide a built-in capability of mounting ISO image files on a virtual drive. Versions of Windows 7 and require third-party software in order to create a virtual disk drive capable of mounting ISOs. Once the image is mounted onto the virtual drive, you can install a game much like using a real disk. 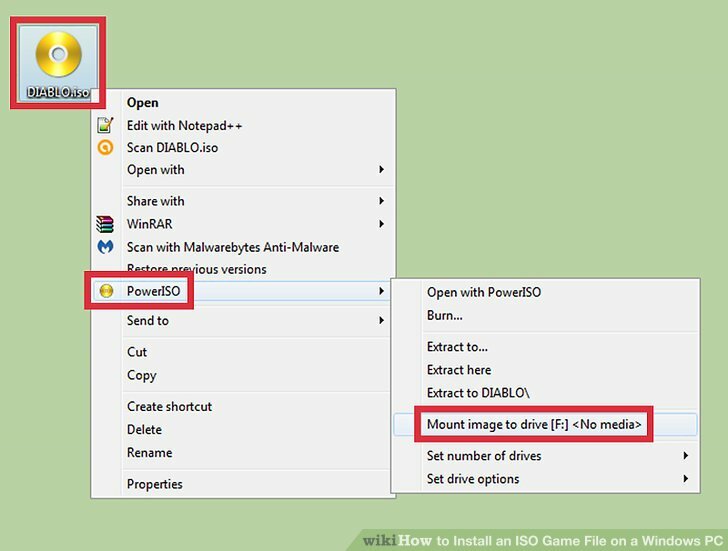 The following methods will allow you to understand how you can create a virtual drive, how to mount an ISO image file and how to install a game from the ISO file for all versions of Windows. Mount the ISO file onto File Explorer. File Explorer in modern Windows operating systems allows you to mount an ISO file to a virtual drive. 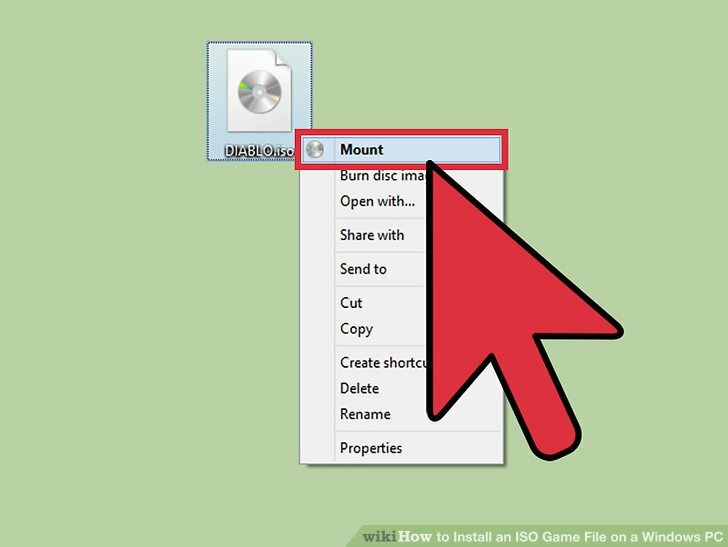 Right-click an ISO and click on “Mount.” The ISO will automatically be mounted to a virtual drive and will open a new File Explorer window showing the ISO’s contents. If you do not see a new window, open File Explorer by clicking on the Folder icon on the taskbar or press the ⊞ Win+E keys. In the left panel of the File Explorer window, click on “This PC” to show all drives and virtual drives. 1-Run the setup program. The program may feature a “Setup.exe,” “Install.exe” or “Autoexec.exe” to run the installer program. Double-click on these files to run the installer. 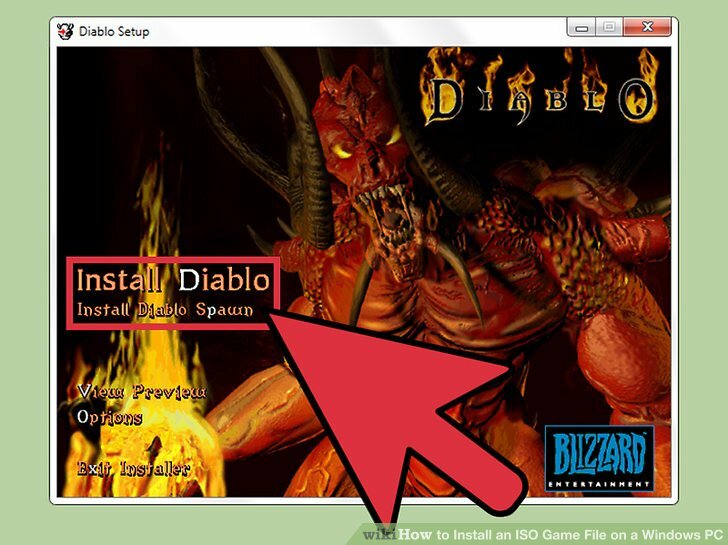 2-Follow the setup prompts to install the game. 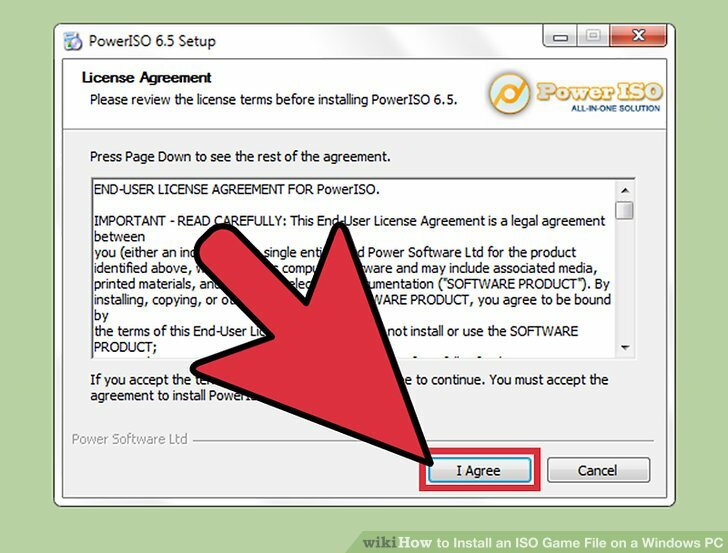 If the game requires the disk to be present for the game to run after installation, make sure the ISO is mounted in the virtual drive. 1-Download virtual disk drive software. Earlier versions of Windows do not natively support disk mounting and require third party software to accomplish this task. 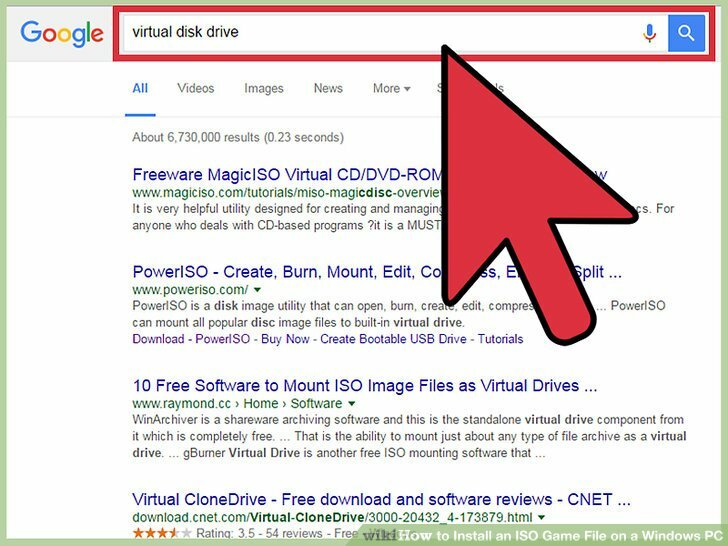 Search online for terms such as “mount iso” or “virtual disk drive” and read reviews to determine the best software to use. Some software may be available for purchase or offer free versions. Use caution when looking online for software. Reading reviews can help you obtain trustworthy software that won’t cause harm to your computer. Some programs provide support for other ISO file types. If the file type is not supported, you can search online for conversion software to convert into a compatible file type. 2-Install the software and open the program. Run the setup program of the software you chose and follow the installation prompts to install the software on your computer. Once the program has been installed. Open the program from the Start Menu or from the desktop if there is an icon shortcut available. The software will create a virtual drive that will appear as a regular drive on your computer. This can be specified as a CD, DVD or Blu-Ray disk. Make sure the drive matches the type of ISO you want to open. The program may open, but not appear as a regular window. Check the system tray located on the taskbar to see if it is open there. The taskbar typically appears at the bottom of the screen. You will need to browse for the ISO file on your computer. Once you mount the ISO to the drive, it will stay on the drive unless a different ISO is mounted or the ISO is unmounted from the drive. 4-Open the drive in Windows Explorer. Your mounted ISO appears as a regular disk drive. 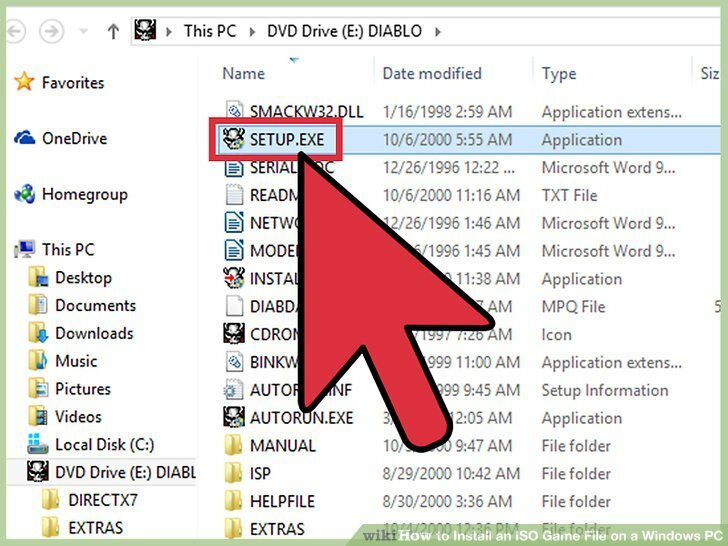 Right-click on the disk drive, then click on “Open” to open the drive and double click on “Setup.exe,” “Install.exe” or “Autoexec.exe” to run the installer for the program. 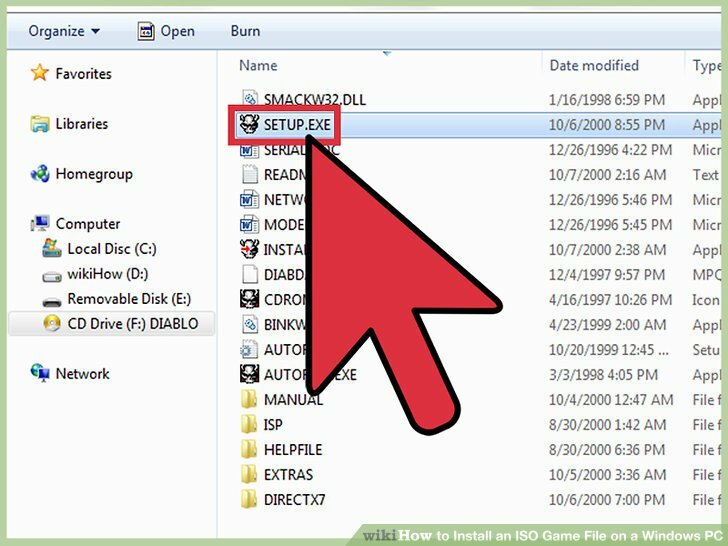 If you double-click on the drive, you may run the “autoexec.exe” program, if it is available, that may provide a guided shortcut to install the game. 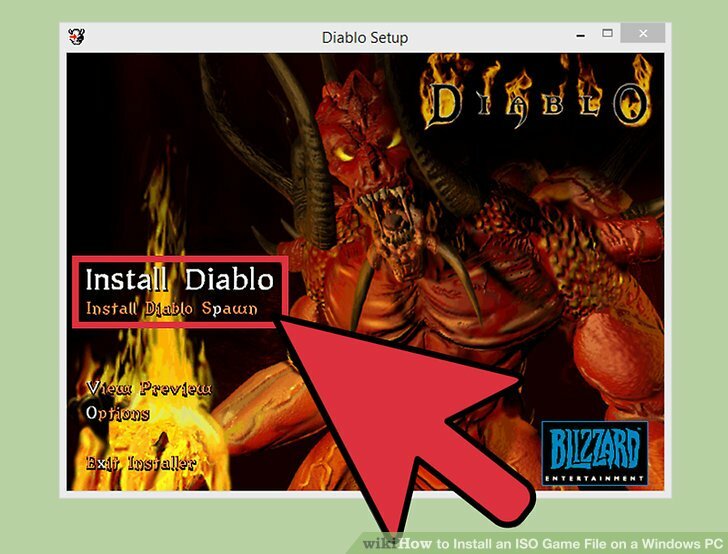 5-Follow the setup prompts to install the game. If the game requires the disk to be present for the game to run after installation, make sure the ISO is mounted in the virtual drive.